On the heels of releasing their latest album, Go Get It and renewing their self-titled WE TV reality show for a second season, Mary Mary will be joining us at the ESSENCE Empowerment Experience. On July 8, the ladies will be honored during the All-Star Gospel Salute alongside Fred Hammond and all of your favorite faith-based musicians, like Tremaine Hawkins, Kim Burrell and Yolanda Adams, will be on hand to lend their voices. 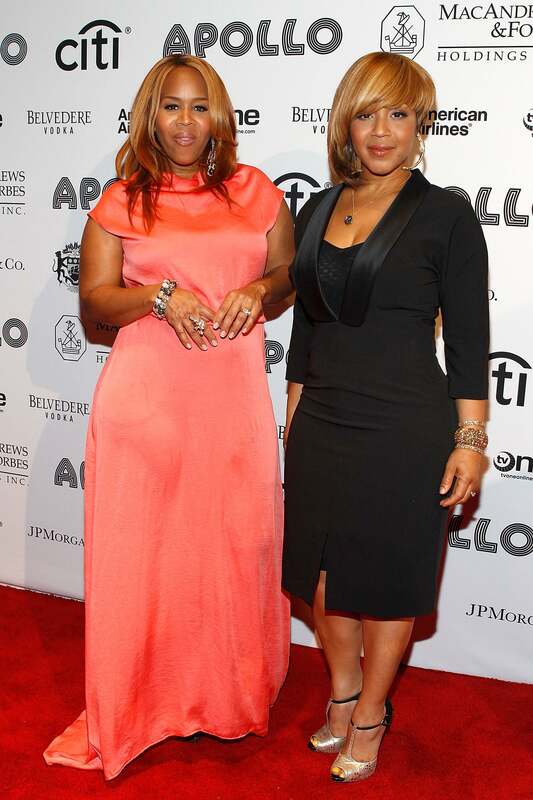 ESSENCE.com chatted with Mary Mary about this honor, their greatest losses and just what they think about Pastor Creflo Dollar’s recent arrest. ESSENCE.com: You’re being honored at the ESSENCE Empowerment Experience during the All-Star Gospel Salute. How does that feel? TINA: We’re just blessed to be in the company of our icons, like Tremaine Hawkins and Kim Burrell. ERICA: We grew up watching them so to be honored by them is fantastic. ESSENCE.com: With so many awards under your belt, do you ever wonder what to do next? ERICA: There are always more people who need the inspiration and who need to know God. It’s tiring but we’re not tired. Until I breathe my last breath I’ll probably be somewhere singing or encouraging someone. ESSENCE.com: What’s been the biggest moment in your career? ERICA: Five years ago when Robin Roberts was going through cancer, she said our music really helped her. When we did Good Morning America recently, she hugged us and told us “Thank you for what you do.” That stuff means a lot. ESSENCE.com: What’s been the lowest moment? ERICA: When we fight, we argue hard and it almost makes us question if we should even be doing this. But somehow, thanks be unto God, we make it through. TINA: My kid had her first Mother’s Day event at pre-school and she had to it with one of my aunts. I had to hear the song to mommy on video, it broke my heart. Not being able to be home with my children, having to work hard to reconnect with my husband and being gone so much that I don’t know who to give my time to first when I come home. I wonder do the people I love know that I love them or am I too busy being a career woman? ESSENCE.com: Switching gears, with Pastor Creflo Dollar in the news recently for his arrest stemming from an alleged altercation with his daughter. Do you ladies believe in corporal punishment for your kids? ERICA: I hate that term. Corporal punishment is meant for folks in jail, not for disciplining your children. We got spankings, my mother said, “if I don’t do this here, then they’ll reprimand you at your school or the policeman is going to do it on the street because you don’t know boundaries.” Today, children don’t always honor their parents so when the parent gets upset, then it’s cruelty to children. I think Creflo was fine in reprimanding his daughter, but if he said he didn’t choke her and the daughter’s story isn’t lining up with his, then that needs to be checked out. TINA: The bible says “Spare the rod and spoil the child” but we’re not fans of abuse. I will say this— if I have a teenage child and they put their hands on me, they’re going to remember that I’m their mama and they’re the child. ESSENCE.com: Watching Dollar’s sermon on Sunday, his congregation began clapping for him even before he laid out his side of the story. Do you think the parishioners of these embattled pastors like Creflo Dollar or Eddie Long are inclined to support their leaders first, and dig through the facts later? ERICA: I can’t fully speak to that situation but churches are sometimes like families. You watch children grow up and see how they’ve acted so you know more than a court or a media person would, like “We knew her since she was five years old, she always had a smart mouth …” or the opposite when a child gets in trouble, “That child is always respectful.” But when something happens and the child is older, it can be hard to believe when what people are saying about them doesn’t line up with what they’ve been doing. Culturally, most African Americans believe in reprimanding their children. Things are shifting a bit, but we don’t believe in getting run over. I’m not giving my kids any medicine and I’m not giving them a timeout. Get your tickets to see Mary Mary at the 2012 ESSENCE Empowerment Experience on July 6-8 in New Orleans!